Joanna and her Amazing Technicolor Interwebs: Thanksgiving at Disney: A Trip Report - Is the PhotoPass CD Worth the Price? 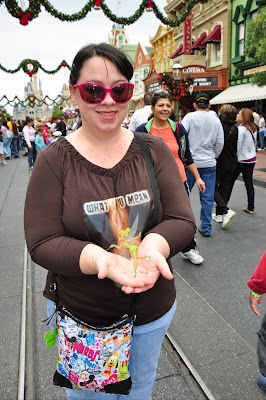 Thanksgiving at Disney: A Trip Report - Is the PhotoPass CD Worth the Price? Another popular question I get asked is if the PhotoPass CD is worth the cost. 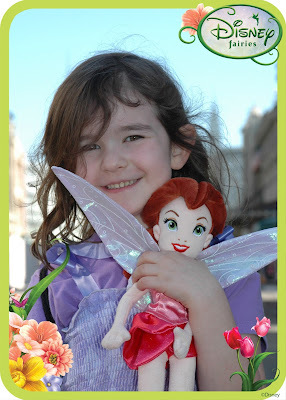 What is Disney's PhotoPass? 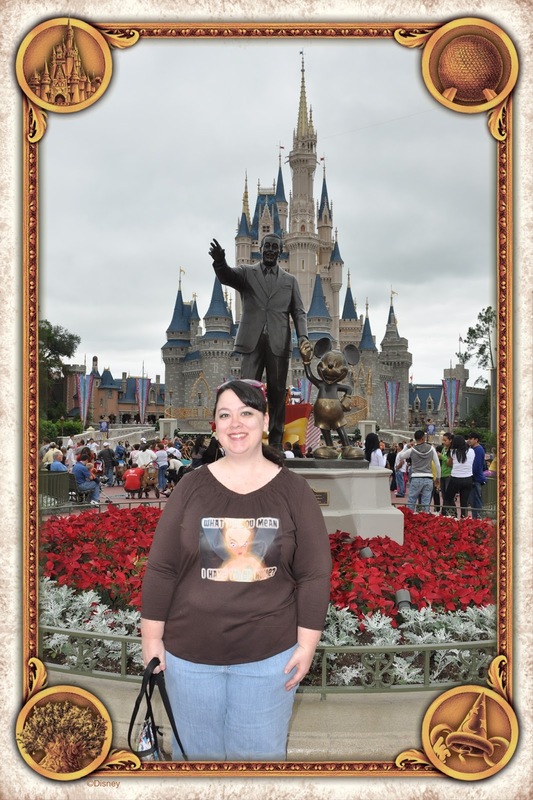 In the Disney Parks, Disney has PhotoPass Photographers who take your photo in various locations. These spots include but are not limited to most character photos, in front of the iconic landmarks in the parks, scattered in random spots throughout the park, and in certain attractions like Enchanted Tales with Belle. The photographers will take your photo with their fancy camera, scan a credit card-like plastic card, and hand the card to you. You can have as many cards as you want, or you can keep using the same card for all PhotoPass photos. The cards are free. When you get your first photo taken, just mention to the photographer that you need a card. These photographers will also use your personal camera or cell phone camera to take photos for you (for FREE) as well! 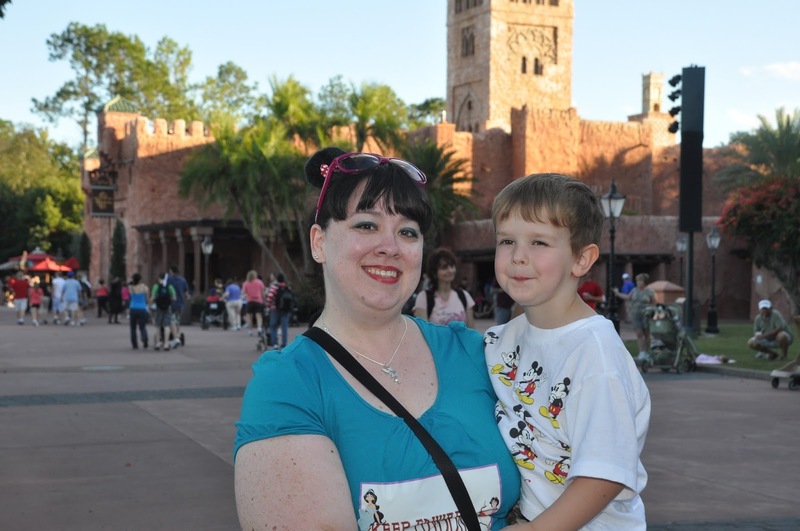 Why use Disney's PhotoPass photographers? Your entire family can be in the photo at once without asking a random stranger to take your photo while trusting them not to steal or drop your $1000 or iPhone! Your family photographer can be in photos that aren't only selfies. 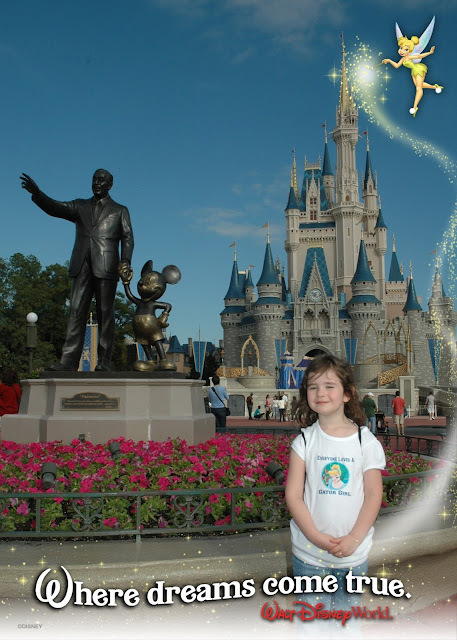 Magic Shots are featured throughout the park, so that characters can appear in your Disney photos when you look at them after your trip! 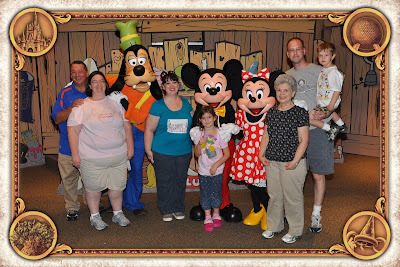 You can add borders, characters, and even character signatures to your photos on the site after your trip! The PhotoPass photographers almost always have the best photo-taking spot. They're right in the middle of Main Street USA at multiple distances from the Castle. They have tripods at night, so the photos aren't blurry too. The photographers snap great candid photos as you meet characters taking the pressure of taking photos off of you, so you can enjoy the moment too. But is it worth it for my family? 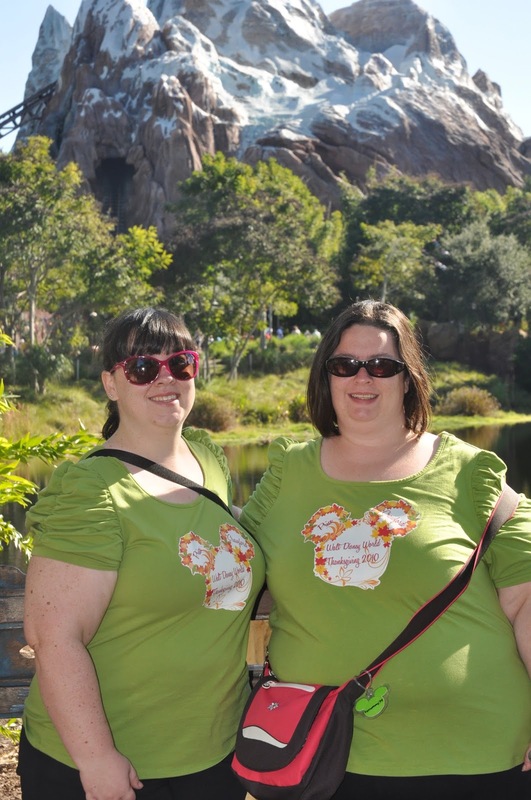 When I used to visit the park with just one friend or when I've gone with just my sister, we did not buy the PhotoPass CD. 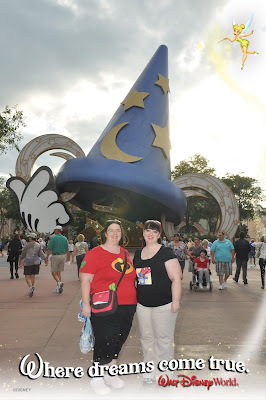 We used the PhotoPass Photographers, but there was no way just the two of us would stop at the PhotoPass spots enough to get enough photos to feel like it was worth it. (Take $120 - the CD price - and divide it by the number of photos you hope to have taken to get your price per photo.) We still look at our PhotoPass photos on the website after our visit, and if we like any of the photos, we purchase the few that we really like. I've done this in the past, but I always leave behind a lot of favorite photos because I can't afford to buy them all individually. 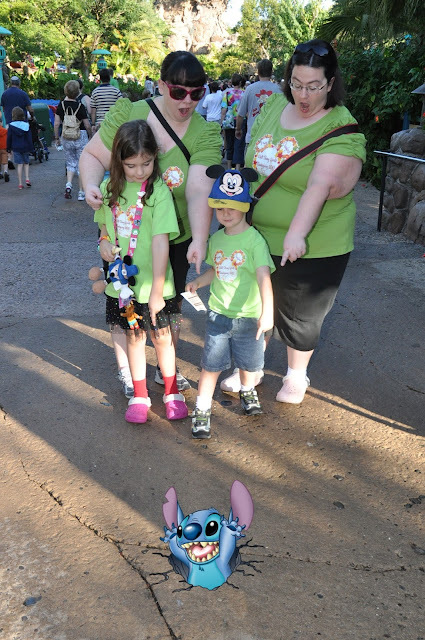 When our family of 5 goes to the parks, we buy the PhotoPass CD ahead of time. Then we commit to stop at PhotoPass photographers as much as possible. When I take one of the kids to do something with me, we stop for a photo. When I'm out in the parks solo, I have a PhotoPass cards and find photographers to do a photo shoot wherever I go. 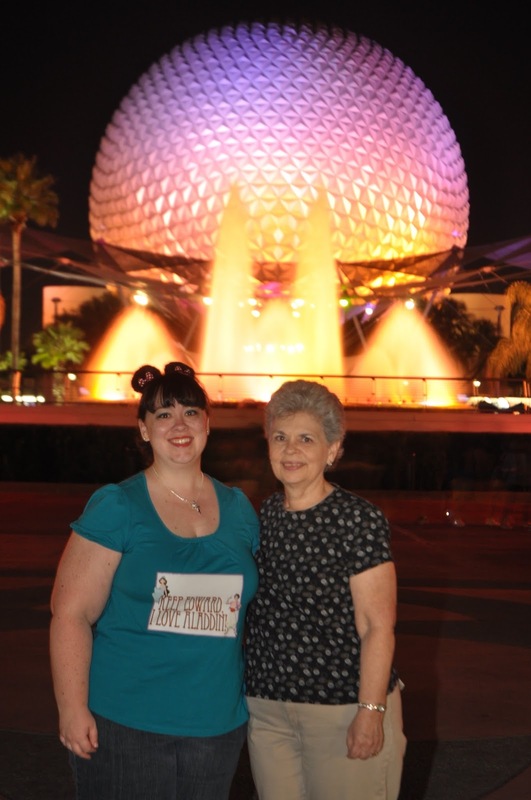 When the whole family is together, we make sure to get photos in front of each iconic park landmark both in daylight and after nightfall. We purposely get photographed the entire trip. (Because of this, I am ALWAYS in full makeup with cute hair in the parks... think on that...) When we get home we love most of the photos. 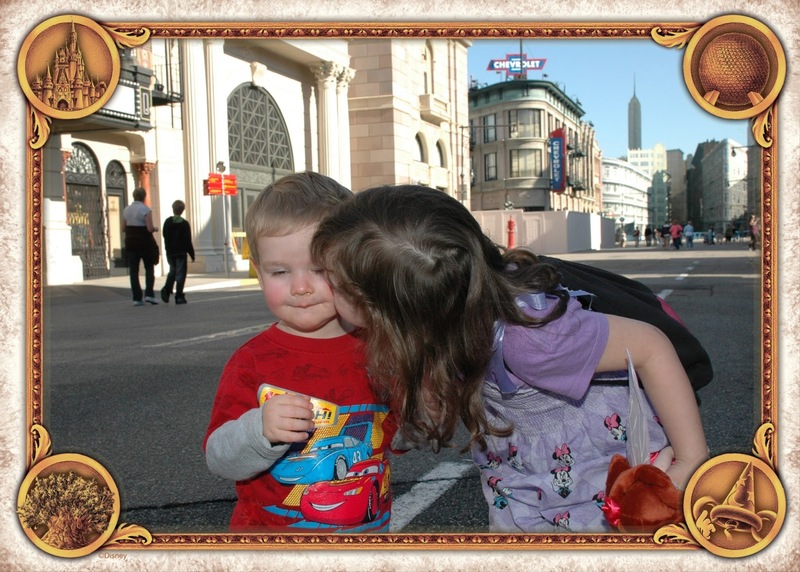 There's always sweet photos of the kids meeting characters, photos of us as a family, and great pictures of each of us in pairs or individually. We print a handful of favorites for frames and the fridge and use the rest as backgrounds or screen savers on our computers. I use a TON of them on this blog. I'll leave you with a few Magic Shots and favorite PhotoPass photos from over the years (this last trip not included). 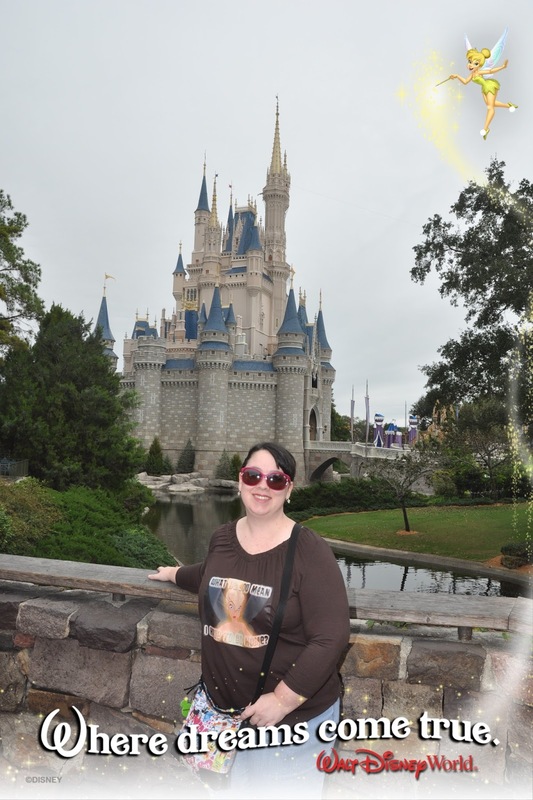 If you want to know more about Magic Shots or photographer locations, I encourage you to head over to All Ears Net for their great write up on the PhotoPass. 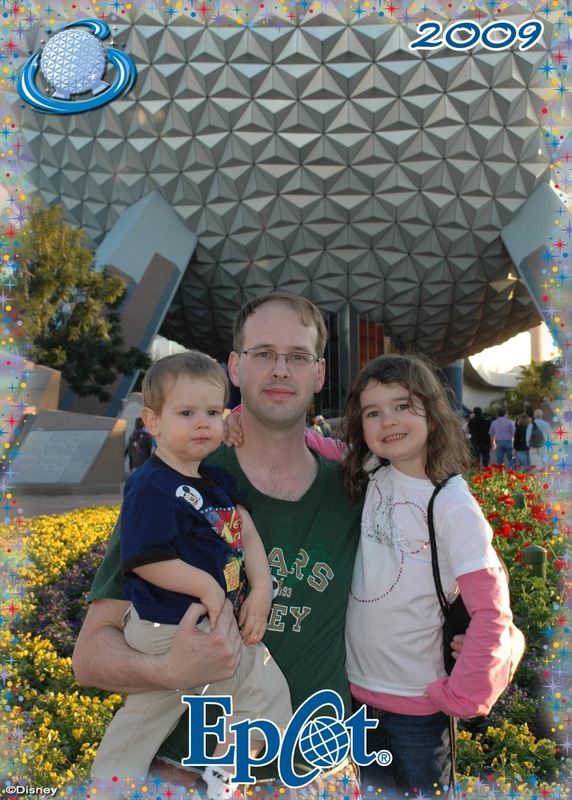 in January 2009 & got this photo taken! captured this sweet smile on the Streets of America. it always keeps the non-bordered ones on the CD for you too. 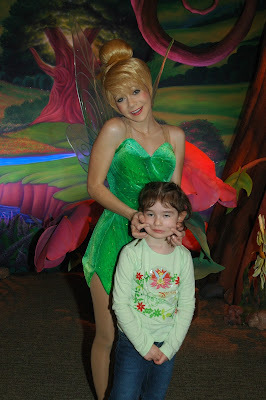 reaction to Tink trying to "fix" her smile! This is a Magic Shot with an old friend from June 2011.
always stop for photos to memorialize it! Disney VISA character spot in Innoventions in Epcot. 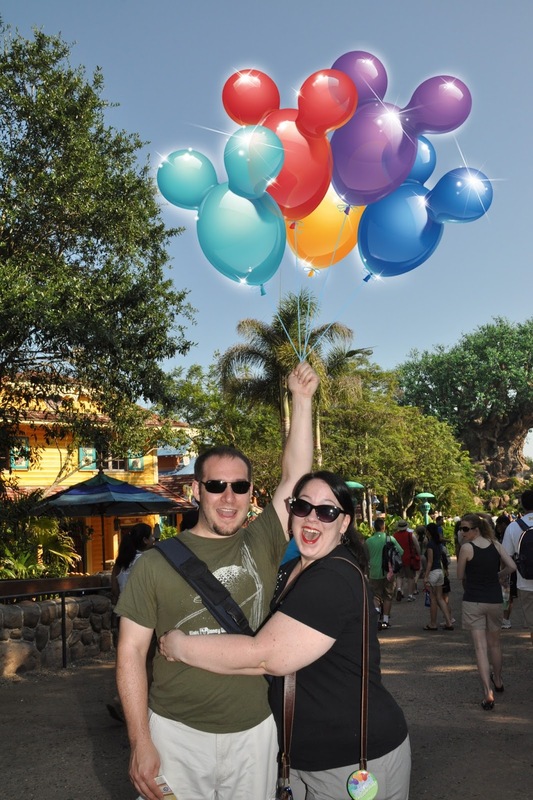 Josh and I were hanging out in World Showcase and got this photo. November 2010 and happily snagged this pic. Magic Kingdom alone just to get a few photos I'd always wanted to stop for. The Partners Statue was one of these photos. 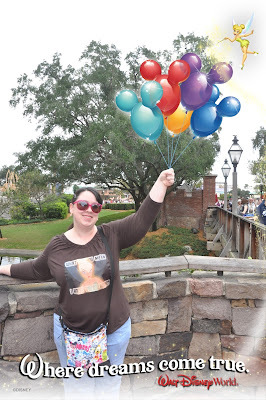 Coming up on the Interwebs: Another crafty giveaway and a new series, 30 Magical Moments, from LaRae and my's sisters trip for my 30th birthday. Come back Monday for all new adventures!